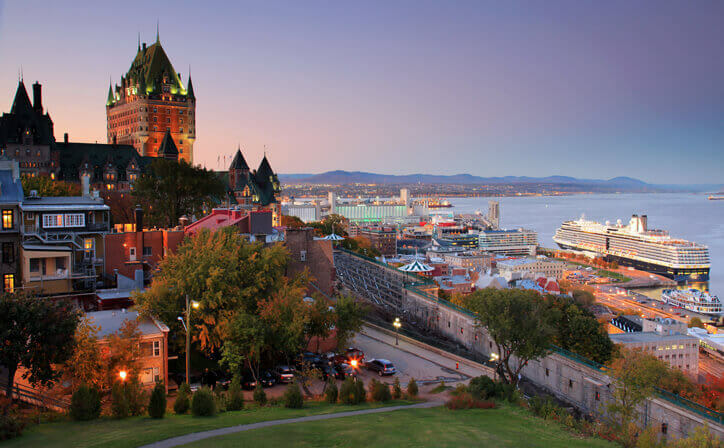 Seven night tour to the Classic Canada. On arrival, transfer from Calgary International Airport to Banff hotel. Check-in at the hotel and rest of the day is at leisure to explore famous Banff Avenue. Overnight in Banff hotel. After breakfast, proceed on Explore Banff Tour where the resort town of Banff is set amongst the towering mountains of Rundle, Tunnel, Cascade and Norquay. Highlights include Bow Falls, Tunnel Mountain Drive, Surprise Corner, Hoodoos, Two Jack Viewpoint and Lake Minnewanka, where you can take an optional boat cruise for one hour which portraits the wildlife and vegetation including the Devil’s gap at foothills of the Rockies. A gentle ride on the Banff Gondola takes you to the summit of Sulphur Mountain for a 360 degree panorama of the Bow Valley. Overnight in Banff hotel. After breakfast, check-out and travel through the Icefields Parkway - Canada’s most scenic mountain roadway, a route to glaciers, lakes and waterfalls. Arrive at the Columbia Icefields Discovery Center, take the Ice Explorer Ride which takes you up the Athabasca Glacier. Later take a coach from the Discovery Center to the Glacier Skywalk, a glass-floored observation platform over the Sunwapta Valley for an unobstructed view of the surrounding glaciers. Continue along the Parkway to the Crowfoot Glacier, Peyto Lake and Bow Lake. Continue alongside the Sunwapta River and take a stroll at Athabasca Falls before a late afternoon arrival at Jasper. Overnight in Jasper hotel. After breakfast, proceed on Explore Jasper Tour. Jasper’s beauty and history is set amid some of the most rugged peaks in the Rockies. 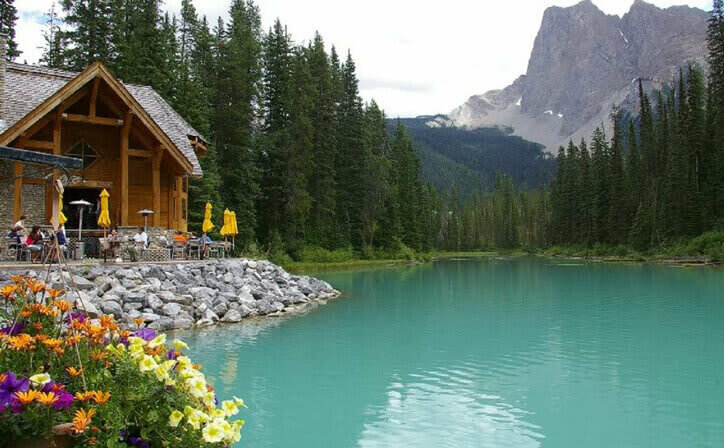 Highlights include Jasper town-site, Athabasca Viewpoint, Maligne Canyon and Maligne Lake. At Maligne Canyon, stroll along 50 meter walls and learn about its unique underground water system. Afternoon, free time to explore optional activities like White Water Rafting, Jasper Skytram, Cruise on Maligne Lake, Sky Gazing and much more. Overnight in Jasper hotel. After breakfast, take a taxi transfer to Jasper Station to connect VIA Rail at 1430 hours for overnight journey to Vancouver. Arrive Vancouver and transfer to the hotel in comfort of your private vehicle. Check in and the day is free at leisure to experience the vibrant city. Overnight in Vancouver hotel. After breakfast, proceed on Vancouver City with Capilano Suspension Bridge Tour. This tour has it all! See Canada Place, Robson Street, Sports Venues, the library, theatres, Chinatown and historic Gastown. Make stops in gorgeous Stanley Park on to Cleveland Dam and the Capilano Suspension Bridge. Cross the 450-ft-long bridge over a spectacular canyon to the Treetops Adventure. The Cliffhanger attraction is worth the trip alone. Overnight in Vancouver. After breakfast, check-out and keep the luggage in the lobby. 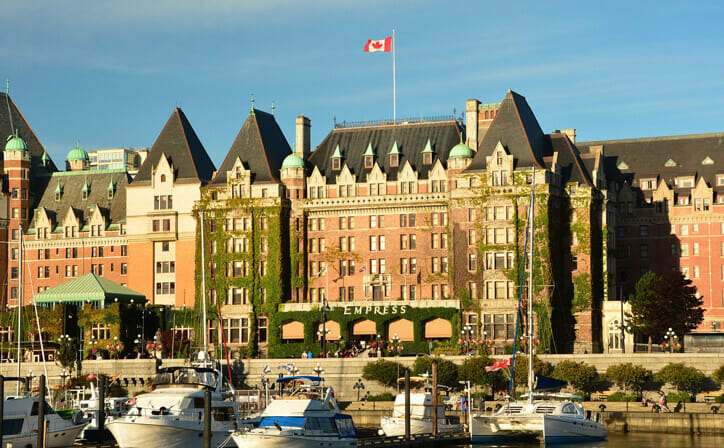 Then proceed on Vancouver City Tour to explore the spectacular waterfront landmarks including Canada Place, Robson Street for shopping, English Bay, Stanley Park, Granville Island, Chinatown and Gastown. Taking sightseeing to the next level, enjoy the incredible views from the top of the Harbour Centre Tower where you board a glass elevator for a 360-degree view at Vancouver Lookout observation deck for guided tour of Vancouver’s landmarks, attractions, history, and fascinating facts. On arrival to hotel, transfer to Vancouver Airport to connect to onward destination. One of the world’s largest countries, Canada is home to an endless array of breathtaking natural wonders. 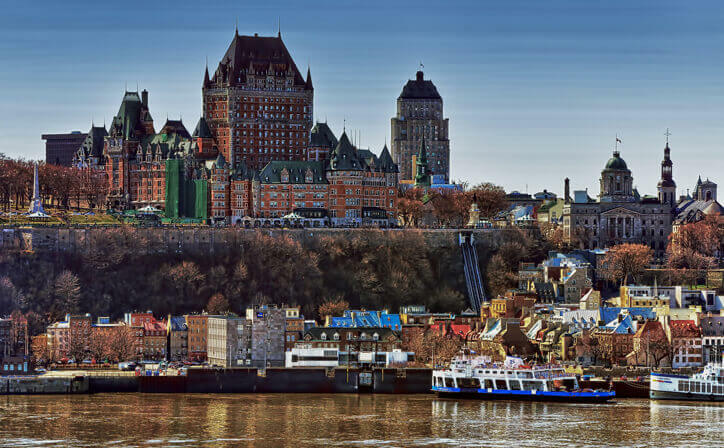 From the majestic peaks of the Rockies dotted with jade-green lakes to the charming villages along Quebec’s St. Lawrence River to the serene islands of Nova Scotia, there is no shortage of pristine splendour. A rich cultural heritage either, with hints of France, Scotland, and Enland. asper, an alpine town in Canada’s Alberta province, is the commercial centre of Jasper National Park. 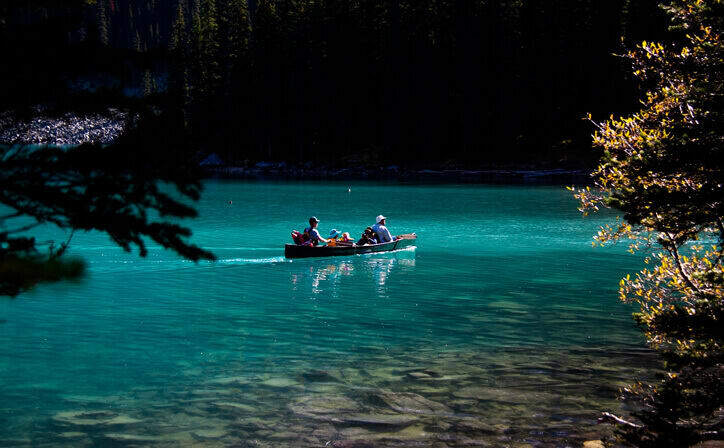 Amid the snow-capped Canadian Rockies, the park has glacier-fed lakes, forests and rivers. The Jasper SkyTram climbs to the summit of Whistlers Mountain, with views of downtown. The Jasper Yellowhead Museum and Archives presents exhibits on the fur trade, railway and early exploration of the park. Banff is a resort town in the province of Alberta, located within Banff National Park. The peaks of Mt. Rundle and Mt. Cascade, part of the Rocky Mountains, dominate its skyline. On Banff Avenue, the main thoroughfare, boutiques and restaurants mix with château-style hotels and souvenir shops. The surrounding 6,500 square kilometres of parkland are home to wildlife including elk and grizzly bears. Vancouver is the most populated city in the Canadian province of British Columbia. Vancouver is a delight for travelers as it provides opportunities for outdoor activities as well as sophisticated amenities of a world-class city. 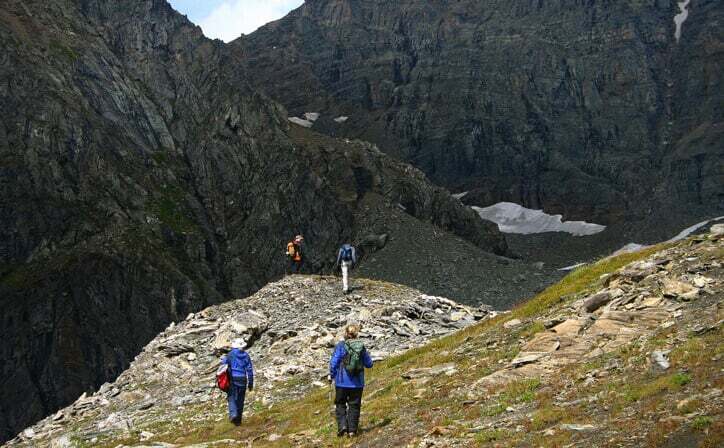 The snow-dusted mountains are less than a 30-minute-ride from the city. While you are in Vancouver, you can ski in the morning and visit the beach in the afternoon. The North Shore offers snow sports, leisurely rainforest viewing and mountain biking. Explore the many delights that the city has to offer. Visit Chinatown, Gastown, Coal Harbour, Punjabi Market, Davie Village and many more while you are in Vancouver. 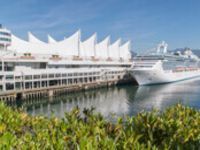 ○ Vancouver Hotel to Vancouver Cruise Airport by Seat in Coach basis. ○ Portages at hotels, airport & sea ports. 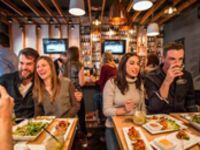 Savor Canmore’s mouth-watering culinary offerings during this 4-hour food-themed walking tour with a small group. 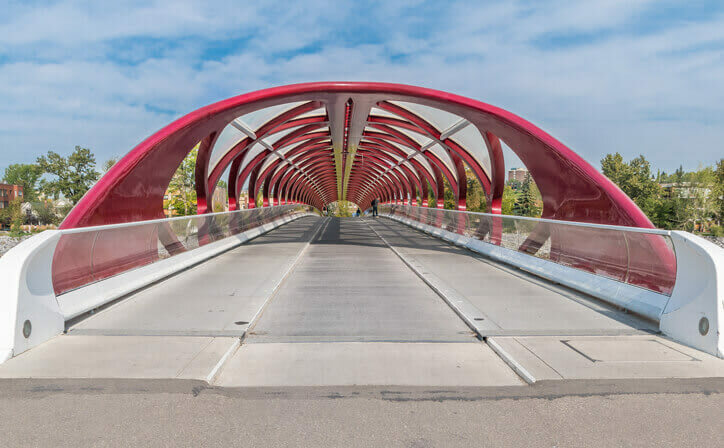 Get a taste for this beautiful outdoor area as you explore its mountain scenery and public art, sampling delicacies like flatbreads, Alberta-grown bison, Brazilian-style barbecue, sweet treats, and much more. Lunch is included and vegetarian options are also available. Early May to the end of June. Mid-May to late June is a great time to visit Canada! ..